2017's Best Original Song Oscar winners could repeat the feat on March 4. 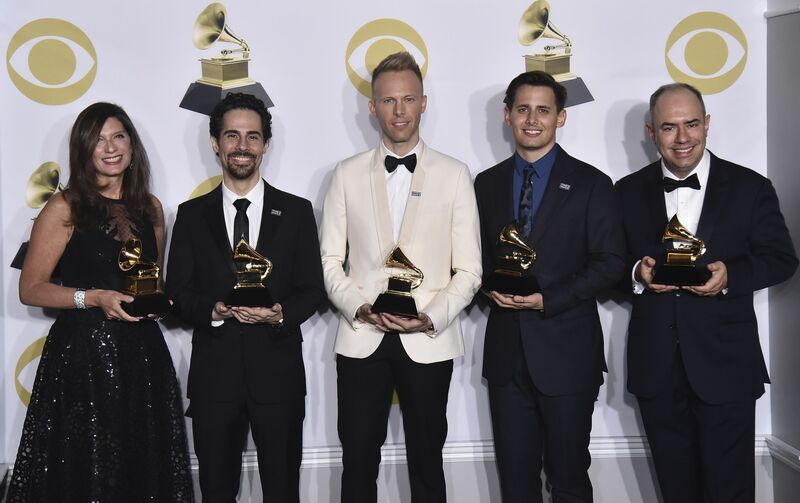 If Benj Pasek and Justin Paul had been better at pirouettes, there’s a good chance that they would not be the reigning Best Original Song Oscar winners (“City of Stars,” “La La Land”), now vying for their second statues (“This Is Me,” “The Greatest Showman”). The composers — who have only scripted songs for two completed films — became friends during their first week at the University of Michigan, where they studied musical theater. “We were the two worst students in our ballet class, which was required for our major,” Pasek told IndieWire by phone. “We were so bad at it that we would kind of hide behind each other and cover for each other, so that the teacher wouldn’t notice.” Unlike their confident, tights-clad peers, Pasek and Paul were dance novices in baggy sweatpants. The next year, when they got cast as “Man with Camera” (Pasek) and “Coroner/Back-Up Dancer” (Paul) in the comedy “City of Angels,” Pasek remembers worrying, “We’re not even going to be single threats,” let alone triple threats. But they had already started collaborating as songwriters. So they crafted a show about early adulthood, “Edges,” and gave the roles to fellow students stuck in their program’s thankless supporting parts. “Edges” went on to be performed in 200-plus productions across five continents. Before graduation, the duo had become the youngest-ever recipients of the American Theatre’s Wing’s Jonathan Larson Award, named after the late “Rent” composer. Over just 11 months, they won 75 percent of the coveted EGOT quadfecta (Emmy, Grammy, Oscar, and Tony). This stretch of victories began at the 2017 Academy Awards, where Pasek and Paul competed against themselves, with two “La La Land” tracks (the other was “Audition (The Fools Who Dream)”) counting among the film’s 14 nominations. Next, in June, they picked up Best Original Score Tonys for “Dear Evan Hansen.” The Broadway hit translated to Best Musical Theater Album honors at last month’s Grammys. “The Greatest Showman” star Hugh Jackman has compared them to such legendary composer pairings as Richard Rodgers and Oscar Hammerstein, Alan Jay Lerner and Frederick Loewe, and John Kander and Fred Ebb. 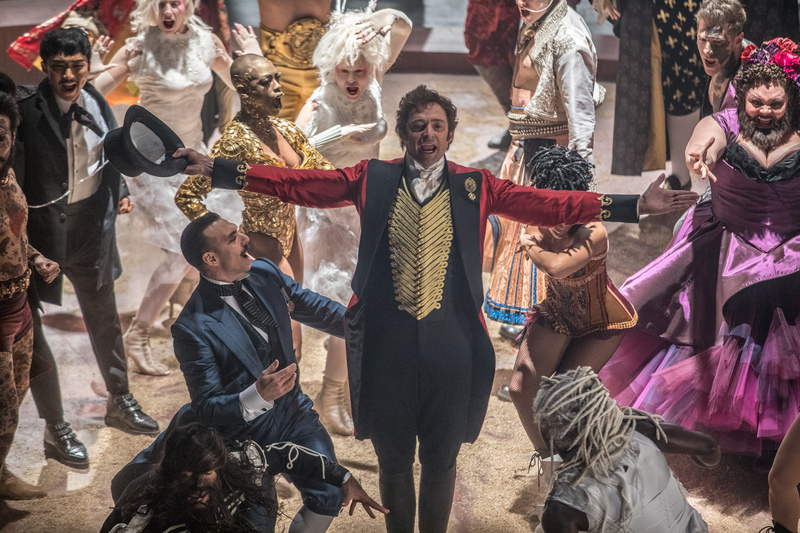 Most movie-musical fans probably assume that after the success of “La La Land,” Pasek, now 32, and Paul, 33, were greeted with fawning offers, and chose “The Greatest Showman” — the tale of big top mastermind P.T Barnum — as their next project (Barnum’s circus concluded its 146-year run in May.) 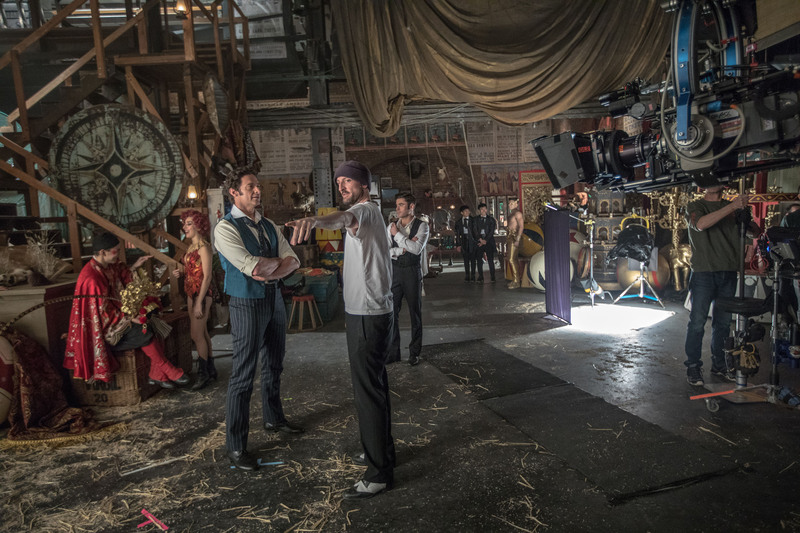 They actually began working on “The Greatest Showman” first, in early 2013, and somewhat unofficially: 20th Century Fox never named them as the film’s songwriters of record. Gracey liked them so much that “He definitely lied to the Fox executives,” said Pasek. “He told them that we had won a Tony Award for ‘James and the Giant Peach,’” a show that peaked at the Seattle Children’s Theater. Later, Gracey even housed New York-based Pasek and Paul when they flew to the West Coast to pitch songs to “La La Land” director Damien Chazelle and composer Justin Hurwitz. They wrote “This Is Me” for Settle in less than a week. During initial runthroughs, she mostly stayed hidden behind her music stand. Then she was asked to do a rendition for a room full of Fox executives, as they decided whether to greenlight the film and its $84 million budget. The resulting clip has been viewed more than 11.6 million times on YouTube; Jackman teared up, and Settle won the role. Since December 20, it has generated nearly $157 million domestically, and $345 million worldwide. A Broadway adaptation seems like a safe bet. “We’re really happy for everyone who worked so hard on the film that it found its audience, its return audience,” Paul said, calling it “really sweet and really gratifying” to have helped make “something that families can go to and enjoy together” — along with a fascinating patchwork of celebrities. 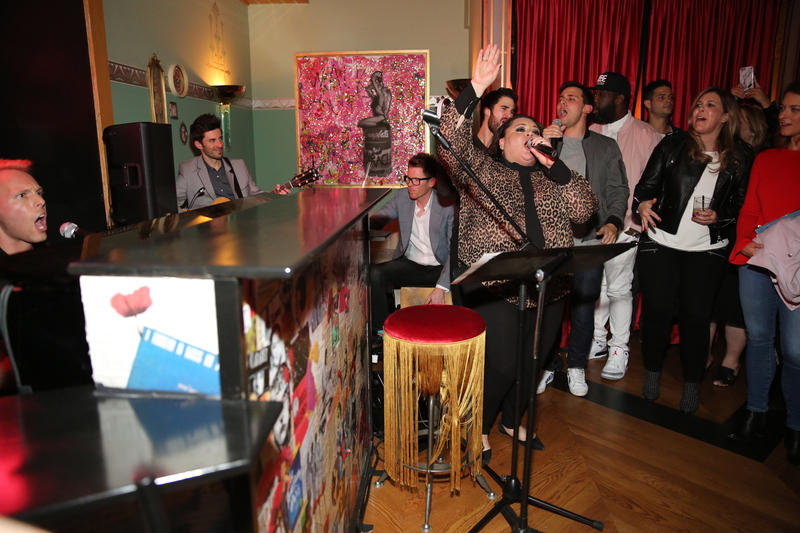 On Saturday night at Tramp Stamp Granny’s — a soon-to-open Los Angeles bar from the duo’s former college classmate Darren Criss (“Glee”) — a six-song Pasek and Paul concert was attended by fellow “La La Land” Oscar winners Emma Stone, Hurwitz, and Chazelle, plus Ricky Martin, Mindy Kaling, Nick Kroll, Chrissy Metz, Charli XCX, and more. The songwriters are now working with Nicki Minaj and Justin Timberlake’s musical director, Adam Blackstone, on a version of “This Is Me” for the Academy Awards telecast (as well as songs for Disney’s upcoming live-action remakes of “Aladdin” and “Snow White”). “The Greatest Showman” is in theaters now.